Few U.S. players accomplished as much overseas as goalkeeper Brad Friedel, who was selected Thursday for induction into the National Soccer Hall of Fame as a member of the Class of 2018. He played with European clubs for more than two decades and set a Premier League record by starting 310 consecutive games for Blackburn, Aston Villa, and Tottenham from 2004 to 2012. A two-time first-team All-American at UCLA, Friedel earned 82 caps for the USA. He was the starter at the 1992 and 2000 Olympics and had spots on the squads for the 1994, 1998 and 2002 World Cup tournament. In the latter competition, he saved two penalty kicks during regulation play as the USA reached the quarterfinals. After retiring as a player. Friedel began his coaching career as head coach of the U.S. U-19 team in January 2016, and he also worked with the U.S. U-20 team. MLS's New England Revolution named him head coach last November. SOCCER AMERICA: You had a great career as a player for club and country but this is your first stint as the head coach of a pro team. What convinced you to take this position with an organization that has never won an MLS Cup title? 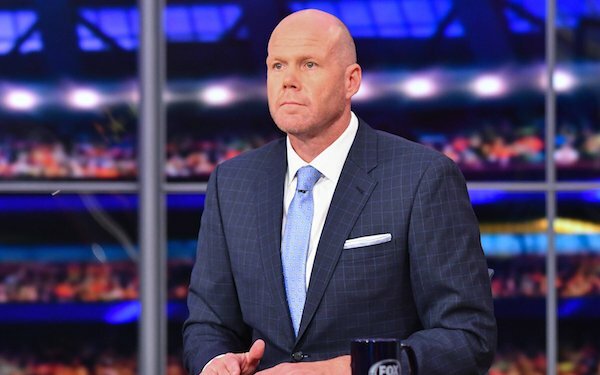 BRAD FRIEDEL: When I was interviewed for the job -- this is something that was nice to see and it’s not that way at every club around the globe -- you distinctly knew who was in charge of which department and that makes it a lot easier to navigate around. So Brian Biello is the president; he has his job and knows exactly what it is. Mike Burns is the GM and has his job. You know where [team owners] Robert and Jonathan Kraft fit into it with regards to knowing where you need to go for certain items on the agenda. It’s helped a lot having Mike Burns here because of the amount of rules and rule changes, and the growing of the league and new implementation of certain vehicles within the league. It’s nice to have somebody who’s been around for so long that was taught by very knowledgeable people. It helps very much to have those people around. It’s been pretty smooth on that front. My immediate staff came in with me and we’ve been trying to quickly integrate with [Director of Youth Development] Bryan Scales and the academy as much as we can. But the foundation of a successful working environment was already here. It was laid out for us and because of that it’s been a lot easier to step in. You knew exactly which issues were in each person’s wheelhouse. SA: You’ve been on at least a few teams where the lines of communication were not so clear and the problems that result are obvious. BRAD FRIEDEL: Correct. That’s absolutely correct and that is everywhere in the world. As a player, you can feel it, you can figure it out quite quickly. And when you’re on the coaching staff you would find out in a couple of hours. That was one reason amongst many others why my staff and I, after we interviewed, really were hoping we were going to be offered the position(s), because we felt we were in a situation that we would be given the opportunity to be successful, with the platform of a great working environment. When we first signed on here, we didn’t know a lot of players personally. You see them play in games and were very pleased to find out we had a collective group of players who were willing to try new ideas and adapt and change and apply themselves. The group, as one, works together very, very well. We have a lot of guys who lead by example. As you have your ups and downs of a season, you need everyone to be focused in that manner. We have a really good team chemistry here, good team spirit. SA: Your last involvement with MLS was as a Columbus player during the league’s inaugural season. The differences between then and now are extreme in nearly every aspect. BRAD FRIEDEL: You nailed it on the head, Ridge. You can’t really compare the MLS of 1996 to the 2018 version. I mean you can compare it but they just don’t look the same. Budgets are much bigger, [so are] the television spectrum and the social-media interaction and the amount of dollars that are being put in -- not just on player salaries and transfer fees but the staffs -- and the training facilities and the stadiums and the quality of the players. The quality of the players we are able to sign now and bring into the league is very strong with the TAM and Discretionary TAM and other vehicles. MLS and the owners have to be credited for all of this. It has really put us in a situation to where we’re able to offer stronger contracts than many countries around the world. Through agents and the players who are over here, word gets out quickly and it really has enhanced our scouting endeavors. It necessitates now to have scouting departments and the networks to find the players you are able to sign, and it’s incomparable to the players you could sign in the 1990s. SA: MLS organizations have grown so large with reserve squads and academy teams that the head coach has a lot more on his plate than the first team. How is the integration process going on the technical side? BRAD FRIEDEL: The staff that you assemble has to have a “we” feel to it. There can’t be an ‘I.’ You have to hire people that are very well educated and well-versed in their specific field because they’re going to be running certain parts of whatever department they’re in at the club. SA: You and Burns go back a long way, to the early days of MLS as well as U.S. teams. BRAD FRIEDEL: One of the things that attracted me and my staff to the job was that we knew Mike. It has nothing to do with friendship, it has to do with trust and integrity. Mike first and foremost wants nothing less than success for the New England Revolution, and we know that. We know Mike will be very professional running the club and doing his general-manager duties whether we were friends or ex-teammates in the past. If you ask Mike, he would say he hired me and his staff because he knows we have integrity and will work very hard all for the same reason, and that is to be successful for New England. It was just an added bonus that we are friends and played together but make no reservations about it: there’s no sort of friendship attached to our working relationship. It’s all business. SA: The team doesn’t have its own stadium and has lagged behind other teams, especially those in the Eastern Conference, in regards to building facilities and paying for players. How can the Revs compete? BRAD FRIEDEL: The first thing I’d say is that the perception of what has happened in the past, people can erase that. We just got a new training center okayed and that’s starting construction now. I can tell quite candidly I have not had any issues with talking finances with Mike or Brian or Jonathan or Robert when it comes to players. I also come from the school that says a player has to be the right price, the right value, the right quality, the right age. I can tell you we are being given every opportunity to succeed here. When we find the player or players we want to bring into the club who will help the club and we can present a prudent reason why, I’m sure the dollars and cents will be there to bring the player or players in. That’s all you can ask for. The Eastern Conference is a great conference. It’s really fun. Like [Wednesday] night, Atlanta has some wonderful players, very gifted. [Miguel] Almiron, [Ezequiel] Barco, [Josef] Martinez, Darlington Nagbe, Brad Guzan in goal. I’m sure for the neutral it was a very fun game to watch. We as well have some very good players. We’re just going to stay as focused as we can and it will be interesting to see how the season pans out as we try to climb up the table. SOCCER AMERICA: This is your first job as head coach of a pro team. You played for several clubs and many managers in Europe. What you draw upon from those experiences as a player to being a head coach? BRAD FRIEDEL: It’s completely different times. I was fortunate enough to play over three different decades, and I mention that because of the technological revolution that we went through and also the stardom the players got and the amounts of money that crept into the game along the way. When I first started out, the players weren’t iconic rock stars worldwide, and the head coaches or the managers pretty much had all the power at the club. The players had very little power with the negotiations of contracts, with discipline and things of that nature. Once the Premier League was formed in ’92-93 and sponsorships started to become very, very big globally with FIFA and the World Cup, over the course of the mid/late '90s to the mid-2000s, the players started to become global icons. Along with the social-media attached to it, the head coaches had to adapt: how could you man-manage the players, because you didn’t want to have anarchy on your hands on a daily basis. SA: Is that why managers who were prominent when you arrived faded quickly from the scene in some cases? BRAD FRIEDEL: When you look back on it, it’s easy to say that Sir Alex Ferguson was one of the very best managers – and he was – but he also adapted to the different times. He was from the old school, you can say, and he changed and became the new-wave thinker over time. The long-winded answer was a lot of things a lot of the head coaches did with man-management back in the early and mid '90s, you wouldn’t be able to do today. But those same minds were so bright, they would have adapted to today. They would have dealt with situations a little bit differently. People are attached to their mobile phones. Back in the day, you wouldn’t need a rule as where you could limit the use of a mobile phone. Then it got to a point where some managers would be afraid to implement a rule for fears that the player wouldn’t like it. That’s a small-side story. SA: Of the successful managers you played for, is there any common ground about how they went about building and maintaining success? BRAD FRIEDEL: What I did learn from the top head coaches that I did have -- and they were all so different: Martin O’Neill, Graeme Souness, Fatih Terim, Mauricio Pochettino, Andre Villas-Boas, Mark Hughes, Gerard Houllier, etc., etc. – is whatever your approach is, be consistent with it. As long as you’re consistent, the players will know what is expected of them. If you get into certain situations and deal with them consistently, the harshest of the scenarios you can deal with in a manner that everyone respects and everyone listens to and everyone adheres to. That’s the best bit of advice I got from the top guys. SA: But doesn’t the job also require some of that man-management; you keep the message consistent but vary the method so it resonates with players of different backgrounds and different personalities. BRAD FRIEDEL: Of course, and also you need to figure out -- if you can -- as quickly as possible what motivates them. Players are going to be motivated by different things. SA: What was your motivation to get serious about coaching? When and how did that process start? BRAD FRIEDEL: In 2011, when I was 40 years old and I moved to Tottenham. Gave me a two-year contract at the time but it was really to play for only one year. They were in the market for a long-term goalkeeper and at 40 years of age I knew I wasn’t going down there to be the long-term No. 1. SA: So the clock was ticking louder and louder. BRAD FRIEDEL: Yes. At that time I was very fortunate that [Academy Director] John McDermott allowed me to start coaching the academy. I took my UEFA "B" Level 2, then completed my UEFA "B" Level 3, then my UEFA "A" and then I completed the UEFA Pro License. It took about 5 ½ years to complete all the badges because I retired in 2015 and still had about another year on the Pro License course, so I flew back and forth from California to finish that. SA: Did you take to it right away? BRAD FRIEDEL: My first session I didn’t know if I was going to enjoy it or not. I was with a group of U-13s and from that moment on I really enjoyed it. I never coached goalkeepers, I was always with outfield players. McDermott also liked having current and ex-players like myself, Scott Parker, Michael Dawson, working with the younger players. It was just a win-win situation. SA: Most aspiring coaches need to work as an assistant and you landed in a pretty good spot with the U.S. youth system. BRAD FRIEDEL: I have to attribute a lot to Tab Ramos. He invited me in with the under-20s during the qualification two cycles ago and that’s really how I got my foot in the door with the U.S. team. SA: You have hands-on experience with the system and teams under heavy criticism for the failure to qualify for the 2018 World Cup. What is your assessment of the talent pool and how it is developing? BRAD FRIEDEL: The two-year cycle of qualification for the youth teams was the most successful we’ve had in our history. We have a lot of incredibly talented young players coming through the system. Because of the failure of the men’s team, people wanted to quickly blame the youth and the structure and explode everything. That simply wasn’t the case. Yes, we need to improve every single day. Exploding the whole system is not something that needs to take place. Tab’s done an incredibly good job with the under-20s and lower. There are some fantastic players that whoever is going to be named the senior coach can choose from domestically as well as internationally. SA: There was a time not so long ago most clubs didn’t want to release their best young players for the FIFA youth competitions. Some still refuse but many are letting their players go. Why is this changing? BRAD FRIEDEL: At the Olympic level and youth levels, getting players released is a problem. For the Under-20 World Cup, we didn’t get Christian Pulisic and Weston McKennie released. If those two players are released, we challenge England and Venezuela to win the whole thing. If you go back to when Paul Pogba was with Juventus, he actually went to the U-20 World Cup and played for France. In a lot of cases, the big European clubs are releasing their best players. A lot of time, we don’t get the best players released and we don’t have build-up time with the best players for whatever reason. There would be a lot of reasons: something with the federation, or it may be down the club teams. Right now, I can tell you there are talented American players between the ages of 16 and 22 that are very, very good. A lot of those players have been called in by Dave Sarachan. Tyler Adams, Weston McKennie, Matt Miazga, Cameron Carter-Vickers, Josh Sargent, Timothy Weah. And there are many, many more that I haven’t named who are outstanding and you will see have long-term futures for the U.S.
SA: It seems logical that giving young players tough international competition would accelerate their growth and development and their chances of success with the first team or senior team. BRAD FRIEDEL: You’re missing one other part. When players go to a World Cup and perform, whether it’s the U-17s or the U-20s or the senior team, their value goes up. The club will fear an injury, but if that player does well he gets a lot more value and the club benefits as well. SA: The first significant move will apparently be the hiring of a general manger for the men’s national team. What will this person be expected to do? BRAD FRIEDEL: Without having been in the meetings, I’d be speaking out of turn, because I don’t really know what the roles and responsibilities are for the general manager. I hope they get that hire done sooner rather than later for U.S. Soccer so that person can hire the head coach and the head coach can collaborate with Tab. I’m sure the head coach will really like Tab. Tab knows every single youth player who is American and in the system right now. I hope they integrate together and work collaboratively and the youth [teams] continue to produce good players. I can’t see anything but the U.S. qualifying for the next World Cup and hopefully it was just a blip in the system. One good thing -- and I don’t think there are many good things about not qualifying -- is it did spark a lot of debate and a lot of discussion and a lot of thought. It got a lot more people interested in what’s going on with the sport and I don’t think that’s bad. 2 comments about "Brad Friedel sees better days ahead for Revs and U.S. national team". Bob Ashpole, June 2, 2018 at 12:07 p.m. Speaking for myself, my disappointment is not because I think US Soccer is "in a bad place". I am dissappointed because I have high expectations for the US MNT being in a "better place" in terms of playing the game. To do that, generally speaking, coaches have to change. No matter how talented our NT players are, performance won't change if coaches don't change their vision of the game and of player development. We need coaches to be forward-looking and positive in orientation rather than focused on what can't be done today. This is not a poke at Bruce Arena. He was given an immediate task which didn't allow much flexibility or any room for error. So he had to be entirely focused on the present, needing a result from every match. I am talking about now at the beginning of the new 4-year cycle. I heard Brad talk at a meeting last year and was very impressed. Scott Fraser, June 3, 2018 at 7:08 a.m. I know that New England Revolution soccer team is a major sponsor for the Special Olympics Massachusetts unified program of the "MLS/SpecialOlympics"members. Do any of the players of the New England Revolution volunteer to coach athletes with local Massachusetts Special Olympics teams?